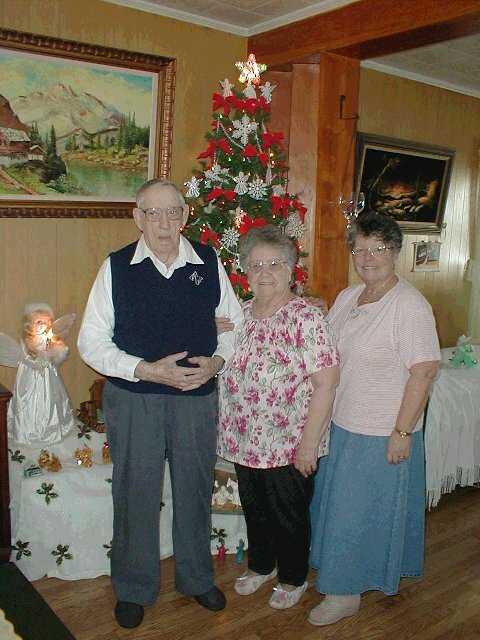 My parents on the left, and my sister Lise at Christmas time. My father just turned 90 in December of 2000. My mother...85.